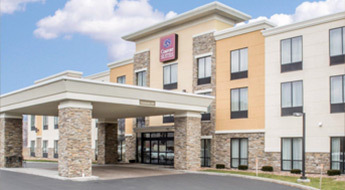 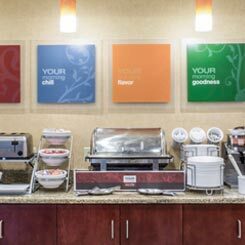 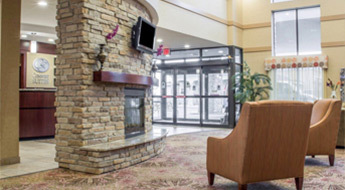 The Comfort Suites® CiceroSyracuse North Hotel is located in the heart of Central New York; off of I-81 at Exit 30. 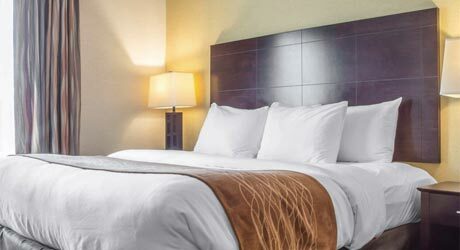 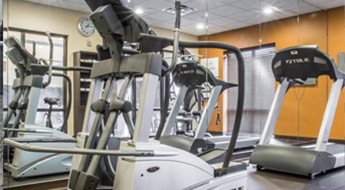 This hotel is an all-suites property with 65 spacious rooms designed with your comfort in mind with many amenities to make your stay as enjoyable as possible. 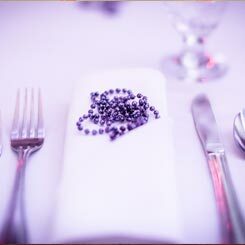 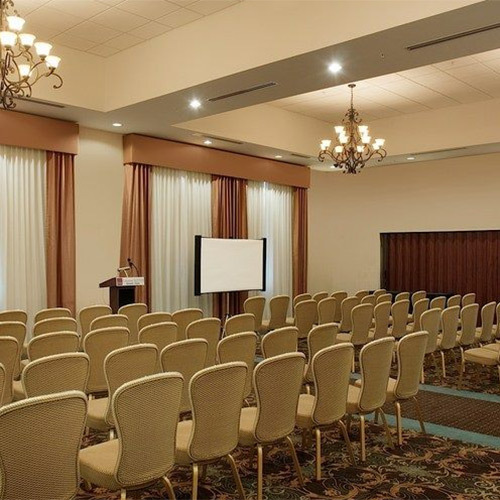 Elegant wedding receptions are what we do best at the Ballroom at the Comfort Suites Cicero-Syracuse North Hotel. 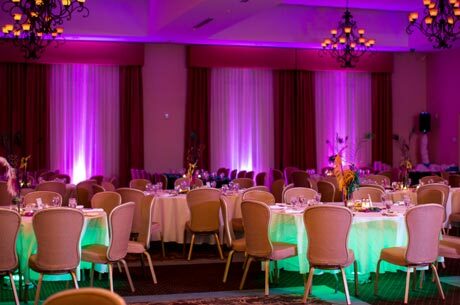 Regardless what you're envisioning for your wedding reception our beautiful Ballroom is ready to be transformed for your dream wedding. 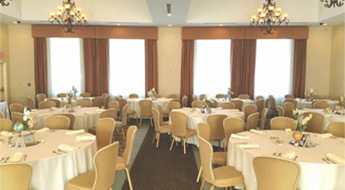 Let us provide the perfect atmosphere for your special occasion! 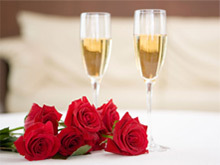 Enjoy a king suite sprinkled with rose petals, a bottle of champagne* with two champagne flutes and chocolates. 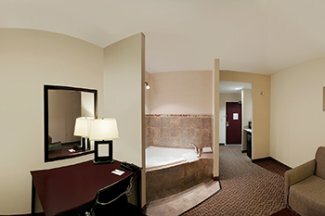 Enjoy all the amenities that the hotel has to offer at a great discounted rate by taking advantage of the Business Traveler Discount! 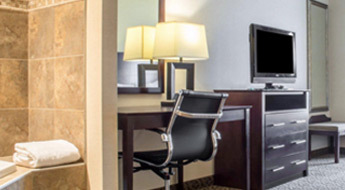 It is our goal to make your business travel comfortable and affordable! 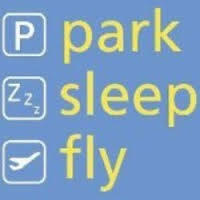 Includes Free Parking up to 30 days, Free airport shuttle (5am to 12 Midnight), and a Free Hot Breakfast. 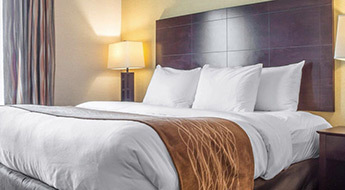 One Complimentary Room Per Coach & Discounted Rate for Drivers, Luggage Handling ($4 per person round trip), and more!